Thats easy peasy ! 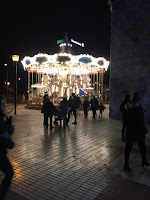 : Christmas in South of Spain - all things churros, calamari and limoncello !! Christmas in South of Spain - all things churros, calamari and limoncello !! 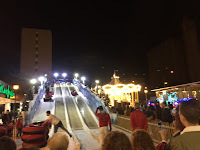 So, i'm finally getting around to writing my blog on Christmas in Spain! John and I decided to give Christmas a miss in Ireland and to head off abroad. We talked about heading somewhere where we were guaranteed sun OR heading someplace where we would get the right atmosphere, great food and drink, lovely people and someplace that has everything! We have been many times - i have been going to Torremolinos since i was 12 and i have gone with John twice. There are Regular flights from Ireland each day, with a short flight time. We stay in a Hotel in Torremolinos called Bajondillo Aparthotel on the beach front. 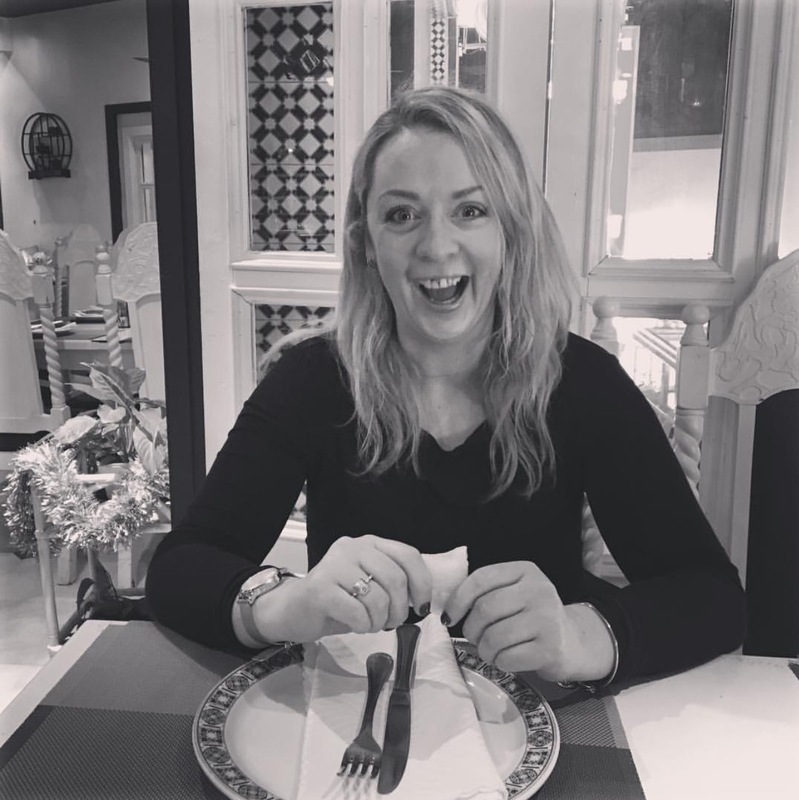 It's the perfect location..... great views, 5 minutes drive to the airport, simple train service that goes to Malaga centre and the airport, great shops, lovely restaurants, relaxed atmosphere, beautiful beach miles long with long promenade walks and the locals are extremely friendly and hospitable. Taking a trip into Malaga city centre is a must. 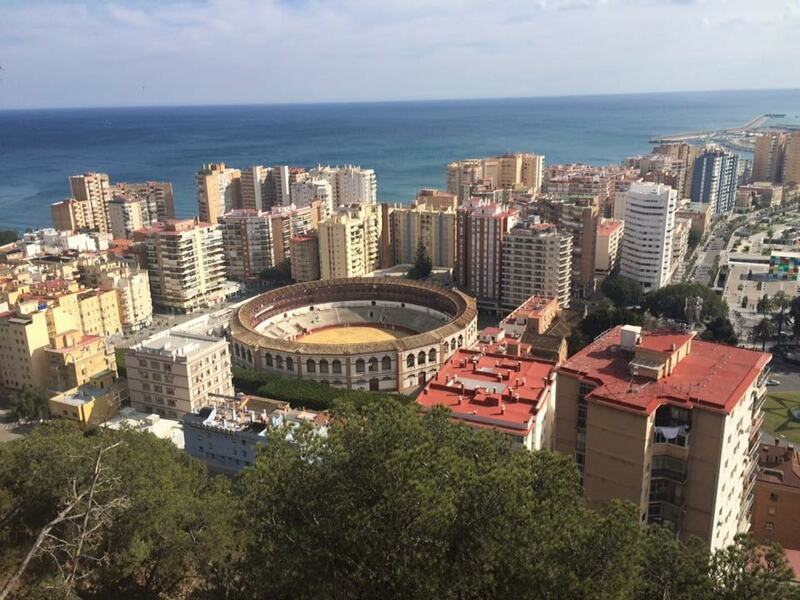 Malaga has great history and site seeing including a Castle hill walk, which is located beside the entrance of Castillo de Gibralfaro, which is free to walk and when you reach the top, you get an incredible view overlooking the entire city and the Malaga bull ring. 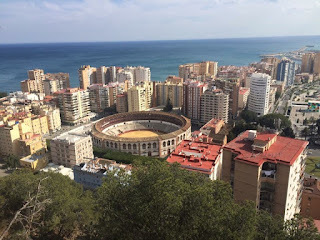 (torosmalaga ) Malaga has amazing little cafes and restaurants and shopping with beautiful cobbled streets and amazing building architecture. A short walk from our hotel brings us up the train station stop. Small and simple to figure out - train only goes from one stop (Malaga) to Fuengirola in the other direction. A short 5 minute ride brings you to the city centre. The "Mercado Central Atarazanas" ( Malaga Tourism ) is a huge indoor food market right in the centre of Malaga city centre. And is an absolute must for anyone visiting. 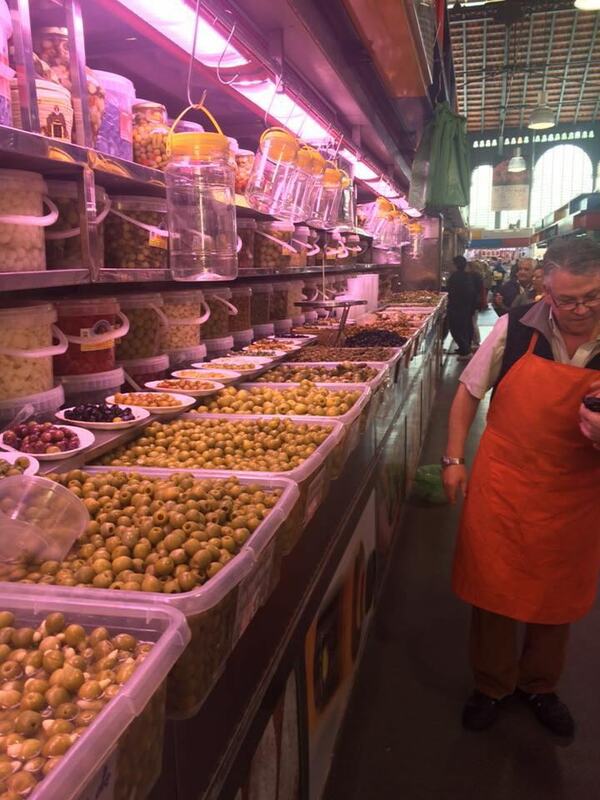 Everything from fresh fish and meat to crepes and pastries to olives and oils. There's something for everyone. There is a great buzz in here. Free to enter. There's great banter in there too between the stands / stalls. My favourite was the olive stand. Dozens of buckets of different types of olives in different types of oils and herbs. HUGE olives! Delicious! Take a taster. Pick your favourite. You will not be dissapointed. Christmas is something else in Malaga. There is a real family atmosphere around the streets. Families travel into the city to experience the fantastic lights spectacle display which happens every night during Christmas at 6.30pm and again at 9.30pm. The shops remain open in the evening time and you can wander in and out browsing. Plenty of stands line the corners with chocolate waffles and popcorn and hot chocolate and coffee!! The smell will tempt you for sure! But be prepared to pay quite a bit for them! 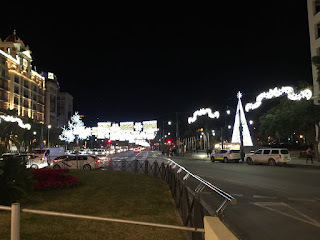 But, I did read a few tips online for Christmas in Malaga before we left - of course i did, like, come on! One of which was to have churros and hot chocolate. Churros is a fried dough pastry, piped out in strips into bubbling oil! We crossed the river away from the crowds and headed for El Corte Ingles shopping mall on Andalucia Avenue. 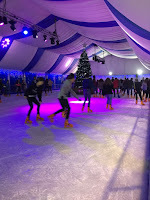 THERE is where we found the perfect winter / christmas atmosphere: Outdoor merry-go-round; ice skating; a winter slay slide AND........ churros stand!! Freshly fried churros together with hot -homemade- chocolate! Watching Spanish families and friends enjoying the Christmas spirit, ice skating, listening to Christmas songs over speakers, enjoying Spanish churros, in "not freezing" temperatures! - heaven! One of the best things i love about Torremolinos is the value for money and how reasonable it is. Eating out is very reasonable - on average, a meal out for 2 with wine and beer can be as little as €30! The food is so fresh, especially fish. Head off the busy promenade however and loose your way up the side/back streets. There, is where you will find the best spots! Local bars and cafes. There, is where you will find the hustle of local bars, where friends or families meet up to chat, sip on a beer and eat tapas! And there is where you will find the best value too. Ask for the "Menu del dia" (Menu of the day), usually the cheapest but tastiest food. The locals will be seen eating this. It is usually whatever they make/prepare in the kitchen for the day. It is likely to be something like Paella or a stew. Tapas are so popular also. You can find them for as little as €1 for a little dish. And tend to be something like seafood stew; anchovies in garlic; olives or again, just a little dish of whatever's on the go in the pot in the kitchen! But typical Spain......what i love about Spain. This was unplanned Christmas Day lunch! After a sunny beach walk! We only popped in for a drink! But these homemade chips were amazing - chunky, crispy and full of herbs and spices. A little after dinner digestif is usually a thing when in Spain. I'm a big fan! Usually served in a little glass like a shot glass, served to help you digest your food. But THIS one was huge! I wasn't complaining! Brandy glass of Limoncello (a liquor made of lemon and vodka)...... ice cold...... AND another on the house due to a problem with their computer! Yes please! My favourites are Limoncello or a vodka caramel (Vodka (pronounced Boca) de caramelo). They are usually always kept and served ice cold. Delicious! A few of my favourite things about Spain are the coffee, the supermarkets and the prices! 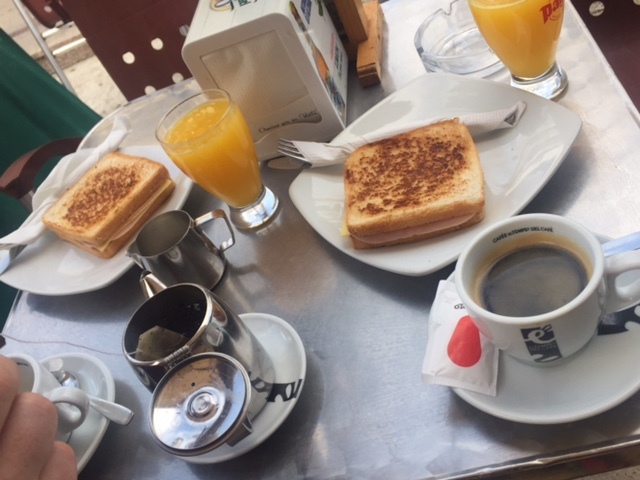 Coffee: You can get the perfect coffee in any bar or cafe in Spain for only about €1.50. None of that black tar filter crap that's sitting in a jug for hours! They are fresh, strong and small..... nothing worse for me than a large, bad, coffee that takes forever to drink! I like the kick of the small americanos. So, like most of Ireland, you will probably want a black coffee with your milk. So you will ask for "Cafe Americano y leche". There are so many different coffees, but my favourite is just a cafe americano. 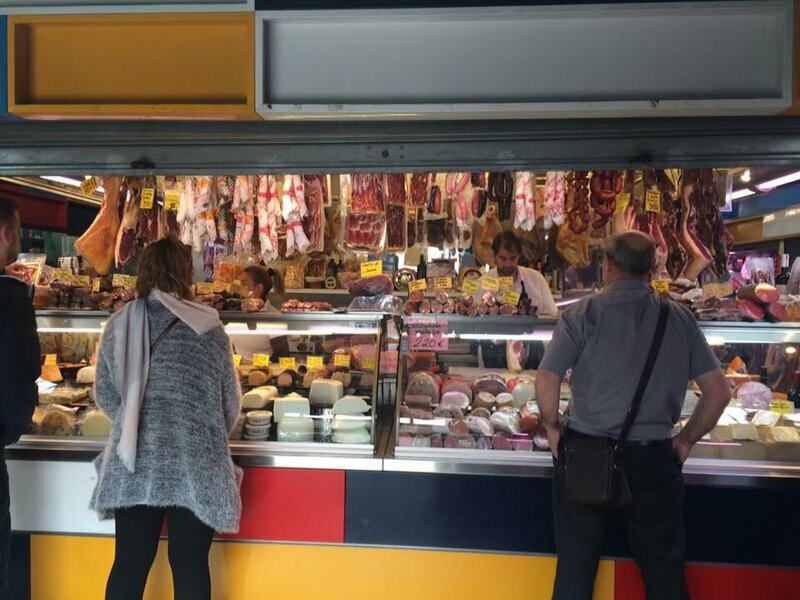 Supermarkets: There are a couple of Supermarkets available in Spain but my favourite to shop at is Mercadona which is nationwide in Spain. They have such a variety of everything. But their Fish/Meat counters and their fresh fruit and veg are something else. The Spanish certainly know how to eat fresh and healthy. You will find every part of the animal at the meat counter! And a wide range of animal too. The butchers will prepare anything for you that you pick out. All so fresh and best quality. So, brush up on that Spanish and get adventurous.... or just do alot of pointing and sharades ! They are more than happy to help you out at Mercadona anyway, no fear of that. Here's one thing we just were not that brave to buy however........! Mercadona have a awesome bakery too. In Mercadona Malaga centre, Larios Shopping centre i was in heaven! Rows of fresh pastries and breads and sweet treats! Freshly backed and packed for as little as €1! The perfect acompaniment for you coffee take out. Me happy with being in one of my favourite places ever! 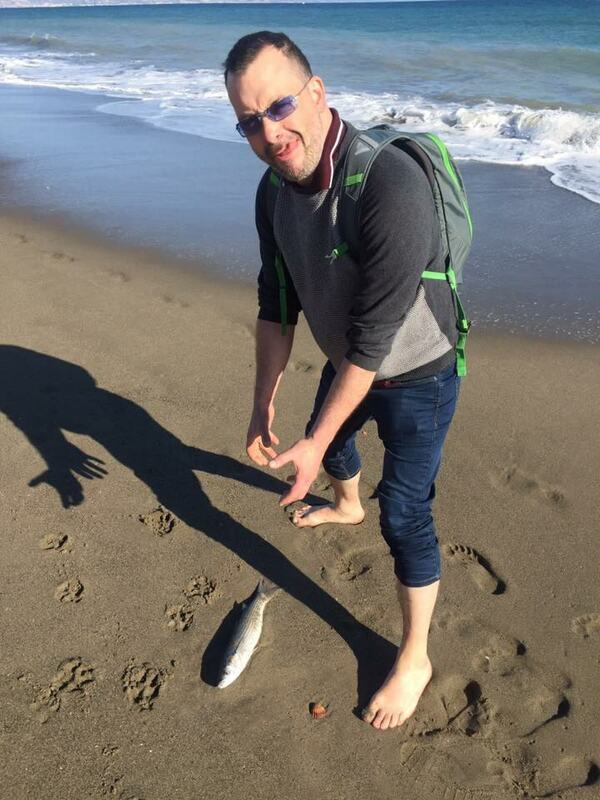 That day John caught dinner ! Make sure to try one of many ice cream parlours dotted around...... such a refreshing treat while taking a stroll on the promenade. I always love a citrus flavour - here i have lemon. John's chosen scoop was mint chocolate chip. So there you have it. Christmas in Spain! A hit! But then again, anytime in Spain is a hit for me! Homemade vegetable stock from Veggie scraps! Stock up your Rack ! !